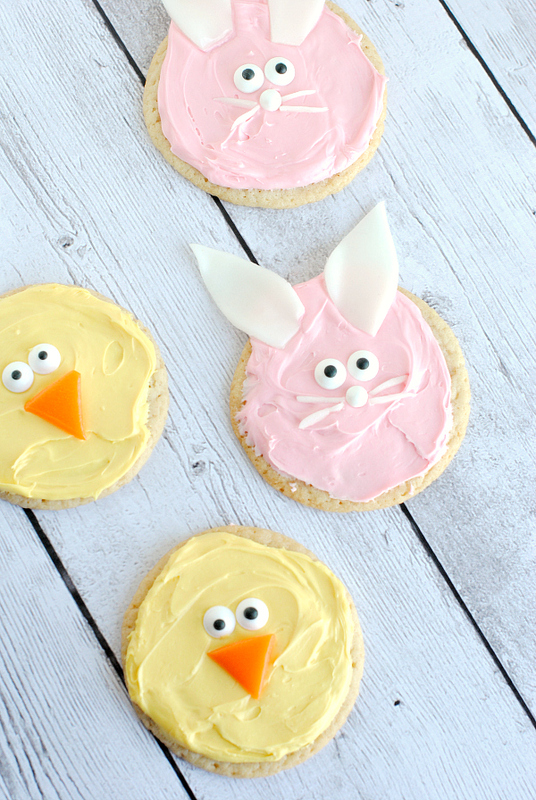 It’s almost Easter and to be honest, I had another post planned for today but then I had the idea to make these cute little Easter cookies and I couldn’t resist throwing in just one more Easter post! These are so easy to make-it can all be store bought even if you want and your kids or grandkids will think you are amazing when you make them (or let them help you make them). I like making easy cookies! Sugar cookies-bake them yourself, buy them at the store or get a roll of cookie dough at the store and bake that. You just need round sugar cookies, so do whatever works best for you! Edible eyes-You can find these in the cake decorating section at craft stores or at some grocery stores and also at Target. Optional-round candy of some sort for the bunny nose. Otherwise you could cut an Airhead for this too. Grab a pair of good scissors and wash them. 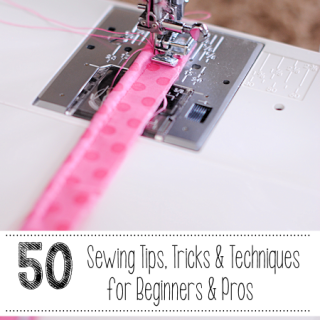 Then use them to cut out a beak for your chicks and bunny ears and whiskers for your bunnies. Place eyeballs and Airhead body parts in place. And eat! So simple right? Use this for a class party or just as a fun activity with your kids and grandkids. Sorry I have to ask, but what are airheads? Are the ears and whiskers cut from paper? 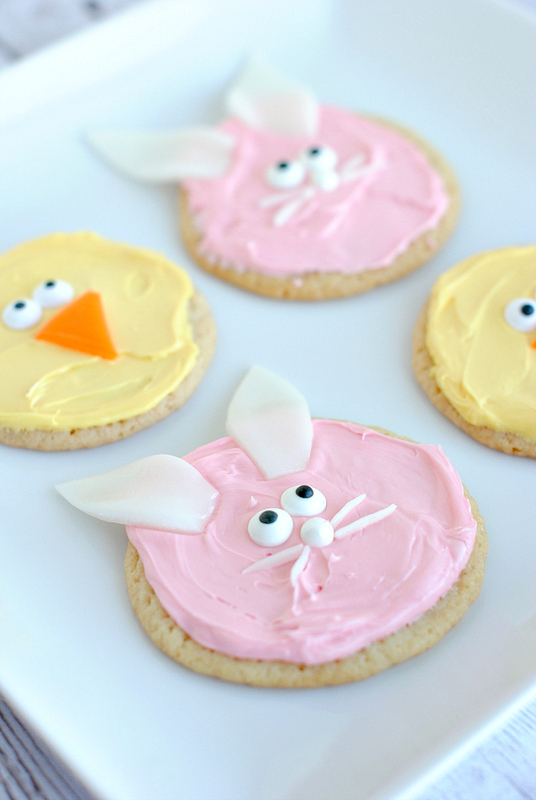 These are totally the cutest cookies ever! Thanks. I grabbed mine at Target.